Here Are the Best Quiet Generator Reviews For Your Consideration! Generators can be noisy beasts. Exceeding 80 decibels in some instances, there are a number of generators that are louder than the alarm clock that wakes you up in the morning and they can run constantly! That’s just not feasible if you’re out at a campsite or need to try to sleep by your new generator. That’s when the best quiet generator reviews can really help you out. You can find a quiet solution to your power needs today! What Does the Best Chart for Quiet Generators Have To Say? With the best chart helping you compare and contrast generators, you’ll be able to quickly find the best quiet generators to meet your needs. Take a look right now and then take a look at each generator’s comprehensive review! Why Are Quiet Generators So Important To Own? For many households that live in an urban environment, there are city or HOA codes that regulate how noisy items can be on a property. There is generally a limit of 75 decibels or less in many areas because prolonged noise at higher decibel levels can create physical discomfort for people. That’s why taking the time to go through the best quiet generator reviews is so important: you’ll be able to find a high quality generator that can provide the right amount of power without putting you at odds with your local codes. For rural households that don’t have as many noise regulations, the need for a quiet generator becomes more about the level of comfort that is had at home more than anything else. If you need a generator to run at night, a loud generator can make it incredibly difficult to sleep! If you get a generator that is in the 50 decibel range, however, most homes won’t even be able to hear the generator running depending on where it is located. If you’re unsure, decibels are the units of measure for sound intensity. A normal conversation is about 60 decibels, and your average lawnmower makes around 90 dB. If you want to learn more about decibels, this article from How Stuff Works is a good place to start. How many receptacles are required to maintain a high quality of living if the power goes out? How many watts does my home require if the essential appliances are running? 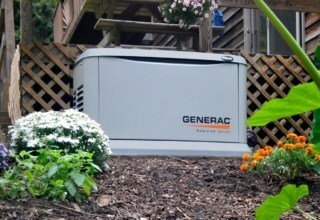 Is a portable quiet generator a better option than a quiet standby generator? What kind of budget is available for a potential generator purchase? By taking the answers of these questions into consideration, you’ll be able to find the best quiet generator to meet your needs today. Use these comprehensive reviews to find the best generators to meet all of your needs and you’ll be certain to have a satisfactory result! What Are the Prices of Today’s Quiet Generators? Quiet generators are typically priced in the same range of their louder counterparts, although higher wattage generators that are quieter are typically a little more expensive on average. An entry-level quiet generator on Amazon right now will typically sell for about $350. Top of the line models may exceed $2,500 for whole home use. On average, however, the typical household can expect to pay about $950 for their own best generator. This generator’s primary feature is that it is lightweight and extremely portable. It only weighs 60 pounds, which means you can take it out camping with you so that you’ve got some power. It only requires a little over 1 gallon of gasoline per load it takes on and operates at a fairly quiet 65 decibels, making it so that you won’t completely disturb your neighbors. 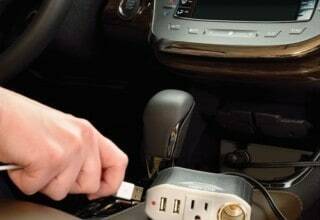 With a peak surge of power at 2,000 watts, you’ll be able to get the power you need in a snap! It’s how easy this generator is to use that makes it such a winning investment. In just a couple of pulls, you’re ready to have the power supplied that you need. It can power most appliances, but it is important to remember that a generator of this size won’t power everything at the same time. In an emergency, if this is your sole source of power, you’d need to rotate through your various appliances to power them one by one. It runs for up to 10 hours on less than 2 gallons of fuel, even when you’re running the generator at more than 50% capacity! If you’re looking to run more than one home appliance at once, then you’re typically going to need more than 4000 surge watts to accomplish that. With the Duromax 4400, you’ll get the power you need for most situations and a couple appliances when you need them. This quiet generator won’t run your entire home, but it will run the essentials for an extended period of time. There is even a 120/240v 30 amp twist lock outlet that will help you power your tools or other portable needs without issue. 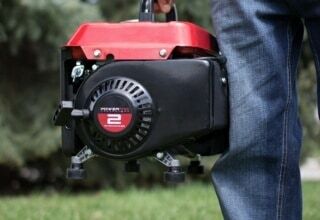 Featuring a 7 HP engine, it is definitely one of the best generators available today! It’s small. It’s compact. It might be undersized for some households. 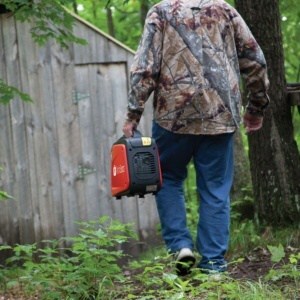 What this quiet generator does do, however, is provide extreme portability for all of your travel needs. It is extremely lightweight, coming in at just over 21 pounds, so it can literally be taken anywhere without any issue whatsoever! Although you’ll only be able to power one laptop or one small digital TV with this generator, it is a way for you to keep working when powered outlets are at a premium. You can also power about a dozen small lights instead if you prefer or some limited small appliances. This particular quiet generator offers a full enclosure for the working mechanisms so there is much less risk of debris or weather interference in its performance. Running on a 4 stroke, 420cc overhead valve engine, we really loved the fact that the electrical starter on this generator is extremely reliable. 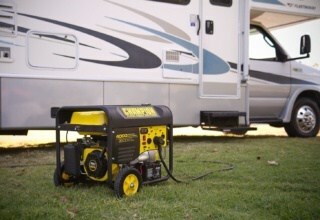 This generator would work in an RV for some portable needs, but this generator is mostly designed to provide power in a home when it is needed. That typically means there is a storm or emergency situation happening and you need a generator that will start reliably. You don’t have to stay up all night or disturb your neighbors just to generate the power that your home needs. Thanks to the best quiet generator reviews, you’ll be able to find the perfect solution to meet all of your needs quickly, efficiently, and affordably. Find the best generator for your home today! 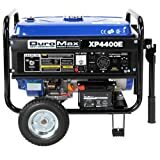 Previous PostThe Best Portable Generator ReviewsNext Post Discover High Quality Machinery With These Champion Generator Reviews! 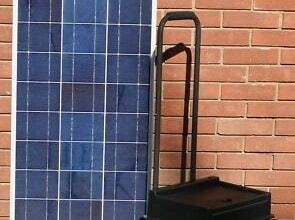 Are You Looking For the Best Solar Generator Reviews?